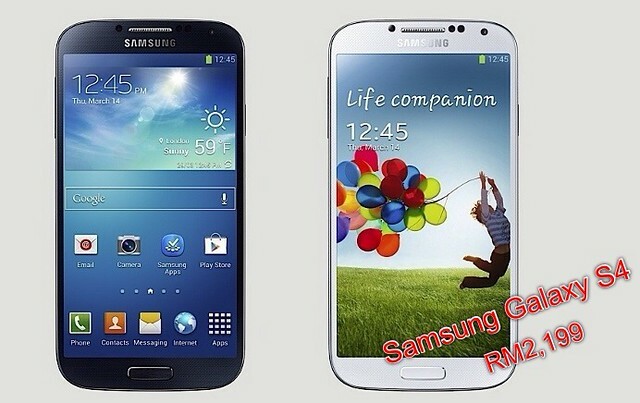 Samsung Galaxy S4 is set to be retailed at RM2,199 in Malaysia. While there is no official announcement yet from Samsung Malaysia, it is obvious the official retail price for the Galaxy S4 is RM2,199 - phone set only, without data plan/ contract. One of the local telecommunications service providers - purposely or otherwise - revealed the RRP in its website. According to DiGi store online, the S4 will be available in the local market at the end of this month, which is just few days away from now. If you subscribe to the telco's data plan, you can buy it for as low as RM1,199. Setting your eyes on this new offering from Samsung? We were in Shanghai last Sunday and the S4, 16GB variant was on display at Samsung Store for ¥5,199 (approx. RM2,599), which is a bit on the high side. We asked if there are another variants, such as 32GB, and the Sales Advisor replied in the negative. That being the case, buying from local retailers seem to be the more sensible thing to do. RM 2,199 would be the same retail price as the S3. Check it out here for Samsung Galaxy S4 specifications. The trend moves too fast. I am too old to catch up. i like my samsung galaxy model phone - almost 2 years old, though. gonna have to upgrade, i'm afraid.